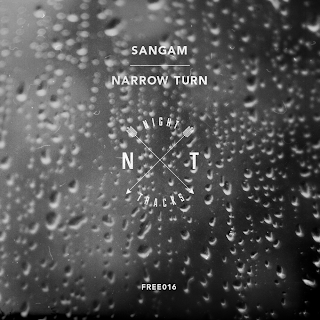 Night Tracks caught up with the Manchester-based producer of gloom, Sangam. Not only that, but he's very kindly chosen to give away an ambient piece, "Narrow Turn". Grab it below by clicking on the artwork, or click here to grab it. NT: So, how's it going man? S: It's going great mate, just been keeping busy. NT: Tell us what you've been up to lately musically! S: Musically, been making lots of stuff since we last spoke. I'm now part of a collective called HVRT KRV which is Me, Retral, Cholombian & FOG. Theres a fair few tracks we've made that should see the light of day in the next few months. NT: What can we expect from Sangam in the near future? S: This year you should expect to look out for an EP with me and Retral called 'Himalayan Smoke'. There's gonna be a mini album by me and Cholombian which features a different style to my usual stuff, I'm starting to get the hang of making trap, chopped n' screwed witch house stuff, shouts to Cholombian for the influence. Theres a few more tracks in the works with yourself, Budeaux, which is sounding very promising. I'm putting together a few tracks with a producer from Sweden called Arthur, you can check two of them on his soundcloud. Also, I have some stuff in the works with Russian producer Spurv which is like Drone Ambient R'n'B. Theres a few more projects coming up in the future but I'll keep that close for now, so pretty much just keep your eyes peeled if you're enjoying my music! Also expect an ambient album by myself! NT: Finally, thanks for kindly giving away your tune "Narrow Turn". Can you tell us a little about it? S: Basically wrote this one on a rainy night, I was feeling a little frustrated about a certain situation at the time so instead of getting mad, I sat down and wrote this. Shouts to everyone and big up Night Tracks!